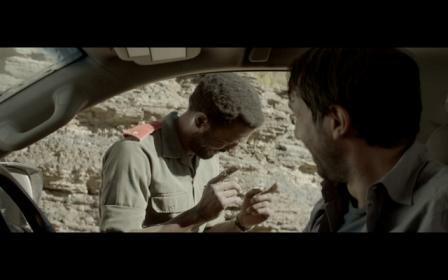 Dramatically demonstrating the vehicles’ rugged reliability, speed and comfort, the ad begins at a remote border post where a nervous single driver is waved through by an irritable border guard. He hasn’t driven far when he notices three vehicles following him; they hoot and gesture for him to stop but he speeds up, obviously scared and uncertain about their intentions. Several tight turns, some spectacular off-road driving and plenty of daring accelerations later, he is forced to halt by a wall of rock blocking his progression through a canyon. The three Land Cruisers chasing him block his exit, and a uniformed man alights from one of these. The guard approaches his window, he fears the worst, but the guard only hands over his passport, which he’d forgotten at the border post. Relief floods his face, and the border guards laughs at the misunderstanding. 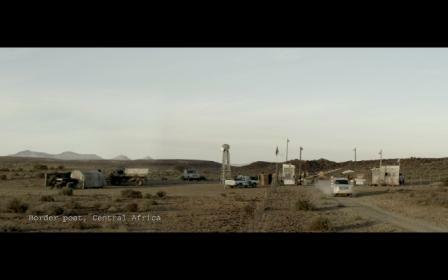 The ad was shot over three days in Calvinia in the Northern Cape by Daniel Levi of Goodcop, while Left, Blade and Freq’ncy all contributed post-production. 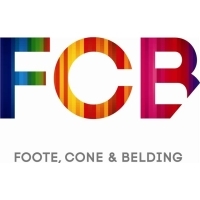 It was conceived by the creative team of Tian van den Heever, Dani Meneghin and Liam Galt off a strategic brief by Tim Allemann and Ashleigh Albertyn. 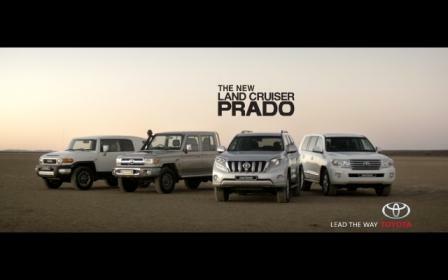 Said Draftfcb Johannesburg Executive Business Director, Mike Di Terlizzi: “Our brief was to use the launch of the new Land Cruiser Prado – and position it as the hero – to showcase the off-road prowess of the Toyota Land Cruiser range. 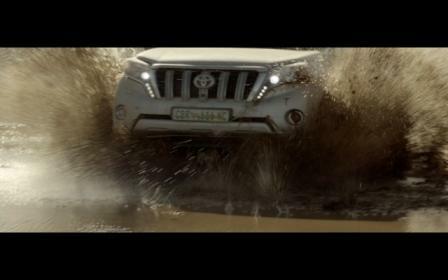 “This execution leaves no room for doubt that the Land Cruiser is at home in Africa. Not only is it powerful, tough and reliable, it absolutely dominates any terrain in which it finds itself. 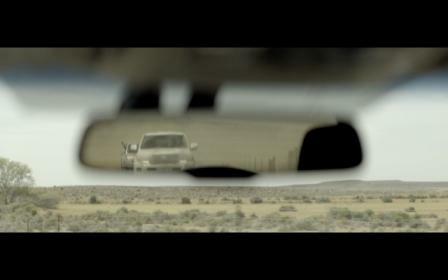 The 90 second ad is targeting males between 35 and 49 years of age, and is supported by a digital campaign.